Not really sure if this is a blog or a review or both. I don’t usually write reviews but I had such a good experience with this that I thought I would. 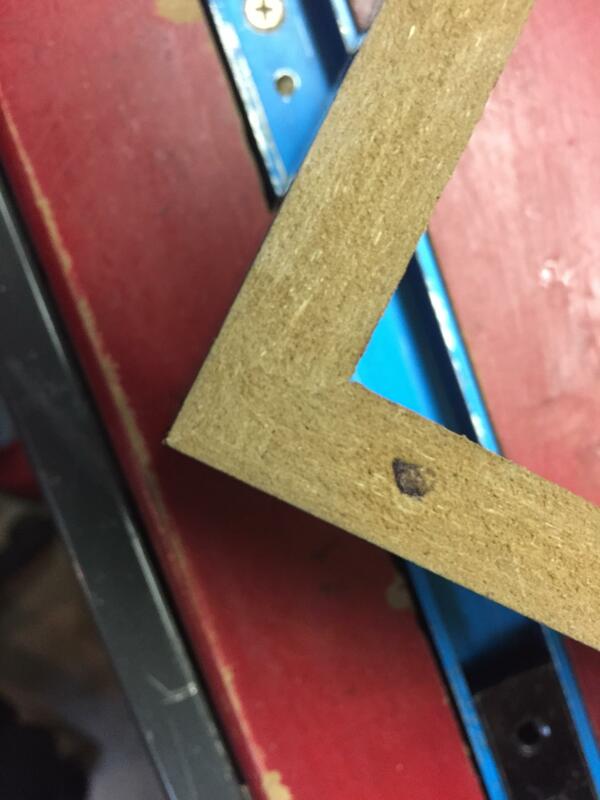 I needed to make some professional looking joints for some jewelry box drawer carcasses I was making with 1/2” stock. Someone suggested the Rockler Miter Fold Dado Set but at $350 it seemed a little spendy. That put me on to the Infinity Jr. Lock Miter bit for $70 plus another $10 for the setup block or $30 for their Master Jig. If you are considering this type of bit read Rich Taylor's blog.. I see why the height gauge is a necessity because I just happened to have scrap that measured .501”. Looking for an even better (a.k.a. cheaper) alternative I came across this “used once” 1/2” shank Katana bit for $36 from a reseller on Amazon that included the setup block (normally $49 plus the block) . MLCS sells this new for $38.50 plus $11 for the setup block item #7849. (I realized this as my bit came with MLCS instructions). Some Google searches told me that Katana is a quality bit and a good buy. 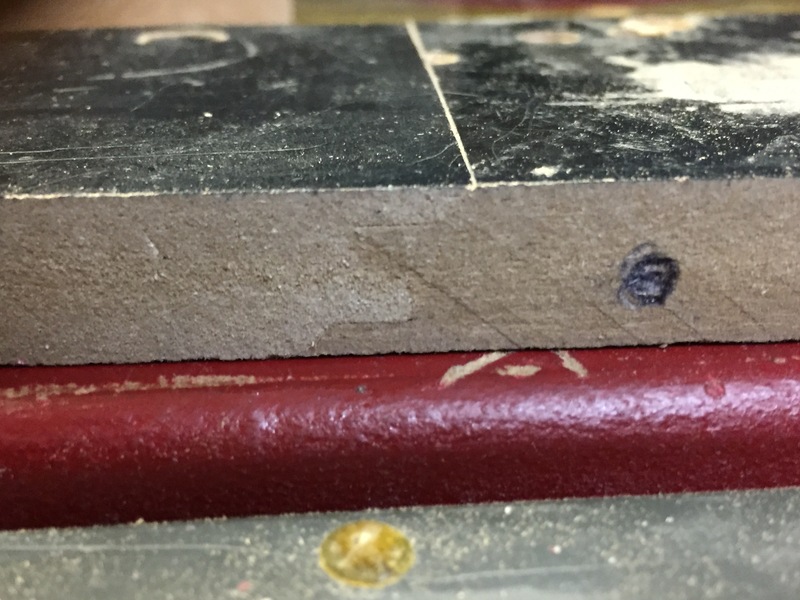 The setup block that came with this is for exactly 1/2” and 3/4” boards. (You just flip it over depending on which thickness you are cutting.) 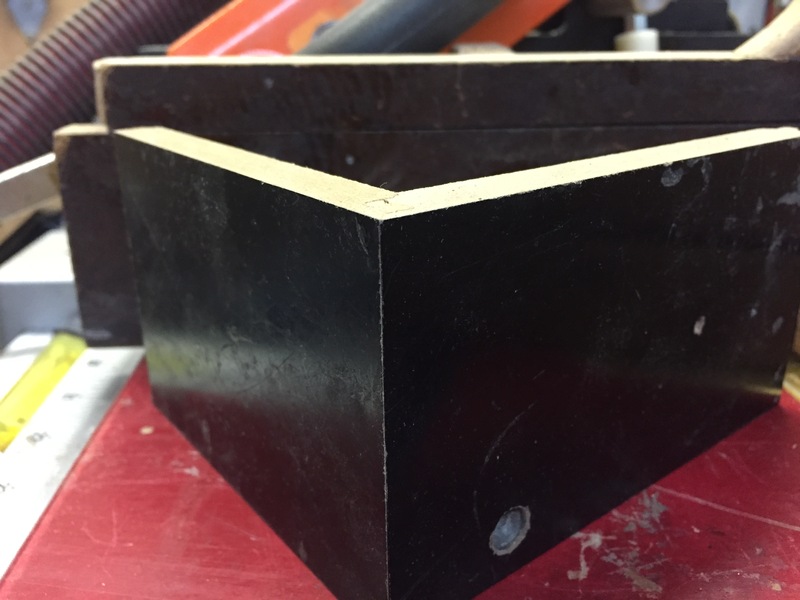 Even a slight variance in thickness makes a huge difference so you either need to plane to exactly 1/2 or 3/4 or adjust the height and fence based on your stock using the method in Rich’s blog. For thicker stock raise the height and push the fence back. For thinner stock, do the opposite. Here is a great video from MLCS on how to use it. As Rich said, the fence and the height are 2 separate settings. First I checked the height by butting 2 ends together. First pass was great and definitely good enough for govt. work. I had to make 2 passes on the fence adjustment only because I didn’t push the block snugly against the bit the first time. Had I done that this would have been good to go on the very first pass. 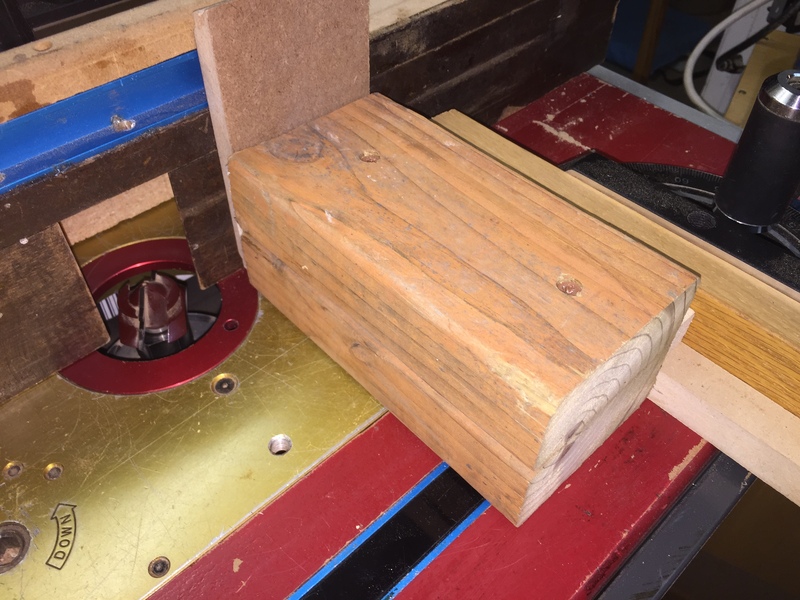 I also took the time to make a jig for feeding the stock through with a sacrificial mdf backer. I put sandpaper on the front of the double stacked 2×4’s for extra grip. Worked out better than expected after viewing/reading about the difficulties people had with setup. Definitely a good review since it’s chock full of review information. I bought one of the larger versions over 10 years ago, thinking I’d use it a lot. Not the same brand. Still sits in its case in pristine condition. Never had the time or inclination to set it up for a project. I also bought it off Ebay. Definitely a good review since it s chock full of review information. I bought one of the larger versions over 10 years ago, thinking I d use it a lot. Not the same brand. Still sits in its case in pristine condition. Never had the time or inclination to set it up for a project. I also bought it off Ebay. Since I got such great results with the spacer block it occurred to me that if I used a height gauge and simply adjusted the bit height and fence position by the difference from the height of the 3/4” spacer block to the height of whatever stock I was using I should be able get the same results using any thickness of stock between 1/2 and 3/4”. I did and it worked just as well. If your bit did not come with a spacer block you can use the height of a piece using whatever settings got you exact results. 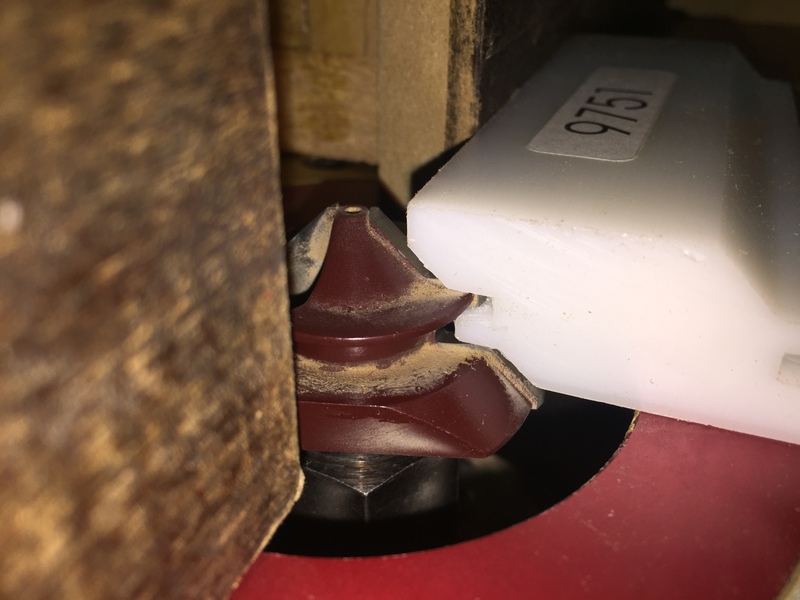 Great review and great job finding a deal on this expensive router bit! 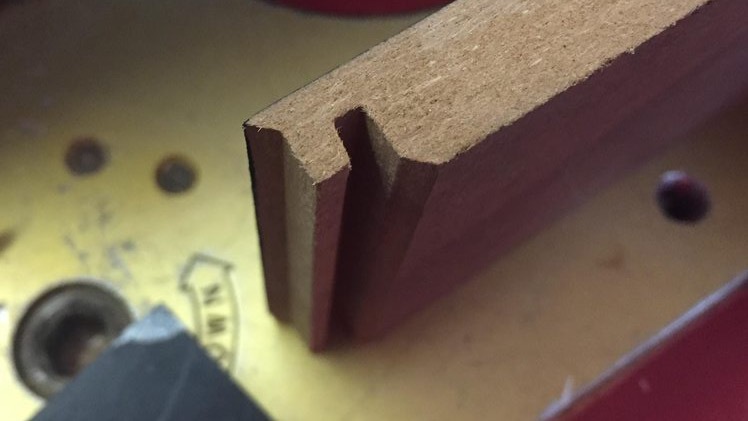 I love this router bit—I have the smaller (Jr.) size as well as the full-size one. 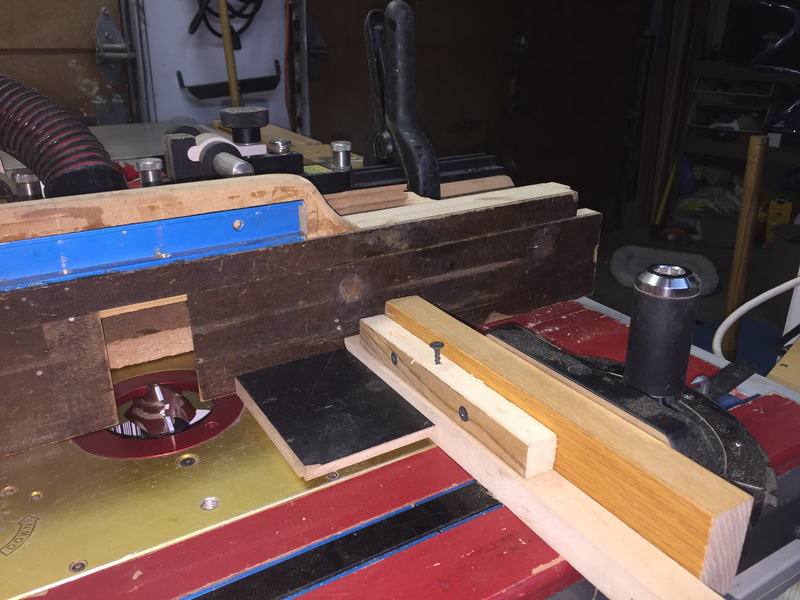 I bought the master jig and can attest to how much easier it is (as opposed to using nothing) to setup the bit with that aid. Another way to improve the quality of the cut with this bit is to have zero clearance between the bit and the fence. I used double sided tape and attached sacrificial pieces of 1/4” MDF to the face of my router fence. this way I could close those sliding fences into the bit while it was spinning and have no space around the bit.